Co-authored by Marianne Manilov and Bron York. Earlier this year, The Mobilisation Lab at Greenpeace partnered with The Engage Network to embark on a 4 month community-wide listening to collect “bright spots” or positive trends and stories in Greenpeace’s global mobilisation efforts — and to surface innovations in people-powered campaigning that can help Greenpeace and its allies win bigger. We’ve seen successful campaigns that rely on strong citizen participation and people power for decades prior to the digital era. But most of these people-powered campaigns are typically designed by professional campaign or NGO staff. Over the past three years, however, we’ve seen a dramatic increase in the number of campaigns that originate from, or are generated by ordinary individuals or supporters. We said to our supporters ‘Go into the Facebook and Twitter accounts of Chevron and ask what they are doing in our waters’. One hour later, Chevron released it’s first official statement on the leak. It was great. The people were happy they could do something. They were Brazilians who knew nothing in English but were writing on Chevrons’ facebook account. It was incredible to see. Supporter-sourced campaigning is on the rise amongst Greenpeace and its allies. New tools increasingly allow individuals to take on the issues that matter most to them. This growth raises several questions for large, established NGOs: What are the best ways to engage this new energy? Will level of influence should supporters have over the organization decision-making? And how does this more democratized campaigning approach fit in parts of the world where political systems or culture dictates that people follow rather than lead? With the recent meteoric rise of online citizen petitioning platforms like Change.org, it’s easy to forget that the ability for people to easily start a campaign that might go national or global is a relatively new concept. Prior to these tools, it could take grassroots leaders weeks or years to convince a national organization to support their effort. Women in North Carolina, USA, for example, spent years trying to convince national organizations that toxics were being disproportionately dumped in communities of color in the United States. Today, leaders of the environmental justice movement might have aggregated their power and voices more quickly. Greenpeace and others are increasingly investing in tools that facilitate volunteer organising. Vanessa Von Donselar, a mobilisation staffer with Greenpeace Netherlands has been one of the driving forces behind the creation of an innovative new volunteer platform (and program) called Greenwire. Another supporter-sourced campaign success comes from from a volunteer named Frank, who won successfully launched and won a campaign to ban the use of Monsanto RoundUp in The Hague, Netherlands, with support from Greenpeace campaigners. Beyond these supporter-generated campaign successes, Von Donselar has benefited from being able to co-create with supporters — essentially sharing her task list or campaign needs with supporters and working with them to develop solutions. There is a community of people who co-create with me, they are people that have jobs in technology and marketing. They are community managers, helping me build, sharing what to do next. It’s a very close and effective team who actually takes tasks off my to do list which is shared publicly on Greenwire. We spoke with a range of NGOs beyond Greenpeace that are also forging ahead with innovative platforms that enable volunteers to connect with one other or start their own campaigns. The global climate campaigning organization 350.org launched 350 Local earlier this year to help local groups better coordinate and build power. We were glad to learn that the platform is open-source, which means that other groups can leverage the code-base. Crowdtangle a new social application (still in beta) that helps organisations and their members by providing a robust set of new tools for group networking in the most popular platforms like Facebook. Change.org allows members to generate their own campaign petitions and connect both locally and globally with potential campaign supporters. Professional online campaigners with Change.org support the most promising campaigns to help make them successful, as explained in this recent U.S. News article. Organizations are increasingly embracing the notion that they don’t have all the answers among their paid staff — no matter how many experts they can afford to hire. These NGOs are finding new ways to open themselves up to the collective intelligence of thousands (or millions) of individuals and supporters in their networks. Here are several examples of organizations that consult their support base to strengthen their campaigns. Avaaz.org: Each year, the global campaigning organization Avaaz sets campaign priorities through member voting (see 2012 results). Furthermore, Avaaz staff test campaign concepts weekly with random samples of 10,000 members and only scale or make public the ones that receive strong positive response from supporters. 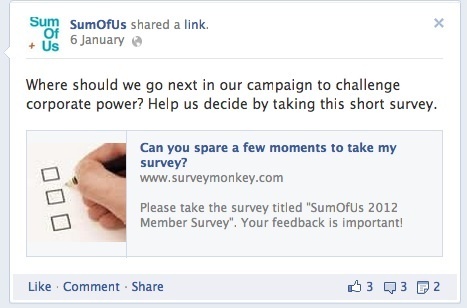 SumOfUs.org: Campaigners at SumOfUs also regularly ask supporters to help shape future campaigns through online surveys. But they are somewhat unique in “crowd-sourcing” some of their campaign planning, by asking supporters if they personally know individuals who work at or with one of their target companies, for example. Energy Action Coalition has launched a voting campaign platform that has local campus groups launching their own campaigns and competing for points and prizes based on volunteer engagement. 350.org employs a deep consultative process with supporters to continue growing a strong and flexible local leadership base. Staff float strategy ideas in public venues, and then arrange for conversations, debates and ideas sharing with grassroots and other movement leaders. Here’s how it works: The leadership team (staff) brings an opportunity to the table (e.g. Keystone pipeline fight); the staff then consult with grassroots leadership/activists on the potential campaign and encourage dialogue and debate that serve to further the organization’s thinking. Volunteer leaders become inspired by the central organisation and have a vested interest in seeing what happens next. Volunteers know that their voices were heard but that ultimately the central organization makes the final decision so that everyone can moves forward together as one network. In this consultative process, 350.org provides a high level of access to lead activists. Staff always answer the phone for volunteers and engage with grassroots leaders in a personal way (they call this process “Radical Transparency”). The organization also invests in a critical mass of highly trained core leaders (i.e. people so trusted that you’d consider giving them business cards) as key mobilizers and conduits for millions of other people to make impact. 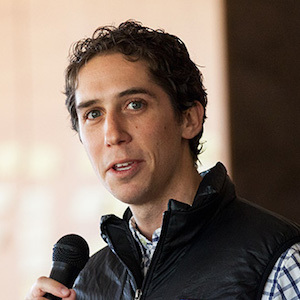 350.org currently boasts approxiately 1,000 of these core leaders in the United States and another 1,000 outside the U.S. They have another 5,000 people that they can count on to take action whenever needed. Many know Greenpeace for its risky, non-violent direct actions that help define issues and raise awareness. But far fewer know that these actions are powered by ordinary individuals who commit themselves to these extraordinary actions. In many areas of the world, Greenpeace relies on volunteers who become highly trained over time and develop deep connections to one another and who are a strong community of friends that extend the ability of what Greenpeace can do. Martin and his colleagues in other Greenpeace offices around the world offer countless examples of highly trained and trusted local Greenpeace groups taking responsibility for campaign work that central or paid staff would never have the resources or scale to execute. 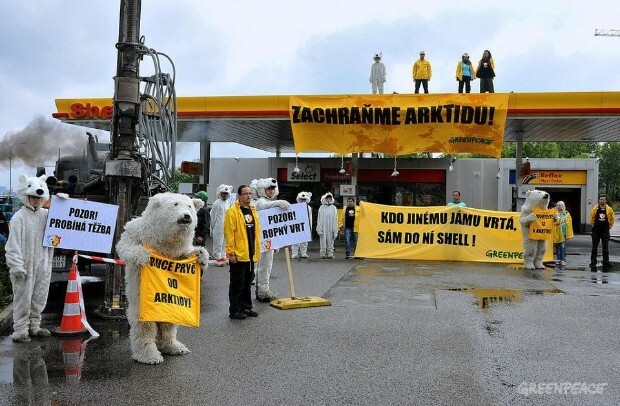 See these images (and these) of local volunteers risking arrest to shut down Shell stations around the world to save the Arctic from drilling. Similarly, staff at Invisible Children (IC) credit the incredible momentum and near-instant virality of their Kony 2012 campaign with IC’s deep commitment to building a powerful grassroots network — specifically, developing strong relationships with supporters on college and high-school campuses. This investment in building networks gave them a deep knowledge of, and connection to, their base, which ultimately made their latest campaign catch fire. Michael Poffenberger, Executive Director of Resolve, an IC partner in the Kony2012 effort, and Lisa Dougan, the Director of Civic Engagement for IC, recently attended of a “Spark Summit” event sponsored by the Mobilisation Lab and explained how the Invisible Children network invests tremendous time cultivating volunteers and leaders. Core to Invisible Children’s organizing strategy is a series of ongoing campus tours in which vans of college-age students travel to schools, screen the organization’s media, and spend time really getting to know the local activist leadership. Prior to Kony 2012, the IC grassroots leadership network had already done considerable outreach both online (primarily via social media) and on the ground. Tens of thousands of IC supporters also participated in an event called “The Rescue,” where they simulated in local communities what it was like for a child to be abducted by Kony’s militia and called on political leaders to come to the rescue of Kony’s abductees. The growth and sophistication of online tools that help networks share and connect is moving into a new generation. At the same time, in a world where much has become transactional, the ability of people to sit in a cafe, eat food, talk and get to know each other more deeply makes a difference in the level of work they will do together. A recent study of social ties on facebook shows that friends influence whether friends will vote. The study also shows that those that you are closer friends with have more influence.